Times have changed. No longer can the same protocols be applied to skyscrapers that tower into the sky, especially after 9/11. Charging up the stairs to fight a fire can be an act of suicide. There has to be a better way. Thankfully there is. 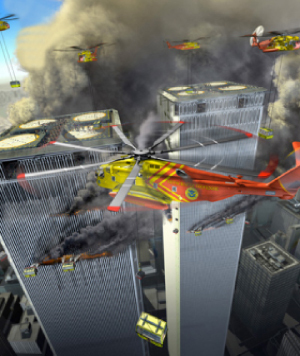 Skyscraper Defense will analyze the list of skyscrapers your department has to protect and devise a strategy that could prevent a skyscraper from becoming a towering inferno.